Though the situation is not as bad as it was in September 2013, when the currency slipped big time, the RBI has enough ammunition at its disposal to counter slipping from its hand. Of late, the domestic currency has been weakening against the US dollar. There has been 8 per cent depreciation in the currency, which is close to 69 a dollar. The reason is deterioration in macro fundamentals and also uncertainty in the external environment, especially trade and currency, which was triggered by the US. In the past, the RBI had to ward off such threats to domestic currency by taking a series of measures. Though the situation is not as bad as it was in September 2013, when the currency slipped big time, the RBI has enough ammunition at its disposal to counter slipping from its hand. This is the first line of defence for central bankers. 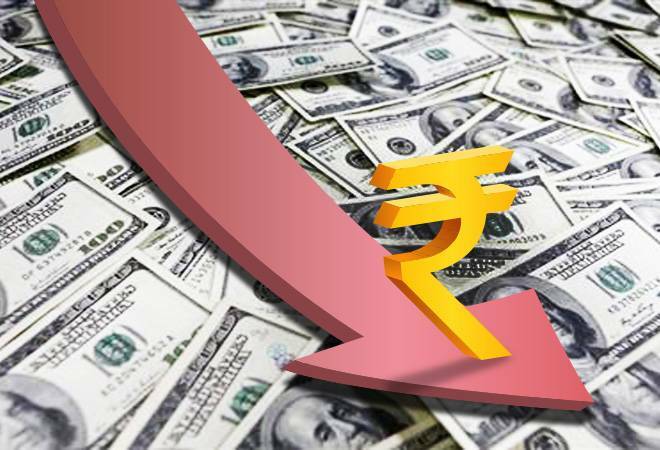 The RBI is already intervening in the market to protect the rupee at below 69 levels against the US dollar. The country has reserves of over $400 billion. But selling dollars to intervene in the market means using the precious foreign exchange reserves. The reserves are already down by $25 billion in the last few months because of RBI's intervention in the forex market. The inflation targeting or inflation dynamics often dictate the interest rate direction in an economy, but higher interest rates, too, help in protecting the value of rupee as it attracts foreign capital into the country. But it is not advisable to use interest rate as a tool to protect rupee as higher interest rates have other negative implications for the economy. This is something RBI under Raghuram Rajan did when the rupee saw sharp depreciation in August-September 2013. The banks managed to raise a whopping $34 billion under the scheme. But banks need some support from the regulator as they should be able to redeem the foreign deposits just in case the value of dollar goes up against the rupee. Under the Rajan deal, the banks raised the dollar deposits and handed the currency to RBI, which in turn gave them the equivalent rupee. After the three year maturity, the RBI, which already entered into forward dollar contract with other institutions, gave the dollar back to banks in exchange of rupee resources. In the past, RBI has used this tool to restrict the demand for dollars by resident Indians. Currently, the RBI allows remittances of $2,50,000 in one financial year. This limit was $1,25,000 five years ago and $25,000 in 2004. The government has earlier used the higher import duties route especially on gold as a measure to reduce the imports. Similarly, there can be a case for higher duties on electronics imports, which have gone up substantially. The RBI can always recommend this as India has a two deficit problem, which results in higher current account deficit (CAD). A higher trade and CAD impact the country's balance of payment book. This is not the first option and ideally shouldn't be the last as foreign investors won't invest in a country that has a weak currency. If nothing works, this can be the last resort to prop up rupee value.